Today I'm going to be sharing my October and November empties since I completely forgot to share an empties post back at the end of October! I guess wedding posts took over a little bit! Let's get started so I can share with you what products I liked and which products I won't be repurchasing. 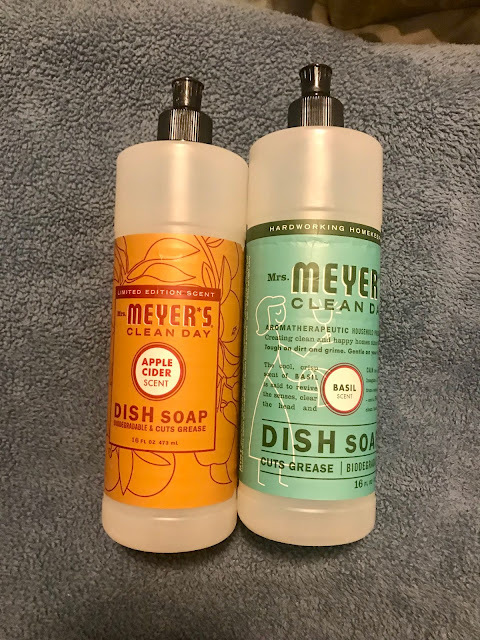 I love Mrs Meyers products and love the dish soap! It works great and the smells are always wonderful. The Basil is my favorite scent and I have a lot of back stock of it. I will continue to purchase it in the future because it works great and the scent is absolutely amazing. I know Basil sounds like a strange scent but just give it a try! The Apple Cider scent sounded great to me but it was a little sweet. I know my dishes were getting cleaned but the Apple Cider didn't feel like a "cleaning" scent to me. Silly I know but I'm glad it's only a seasonal scent! 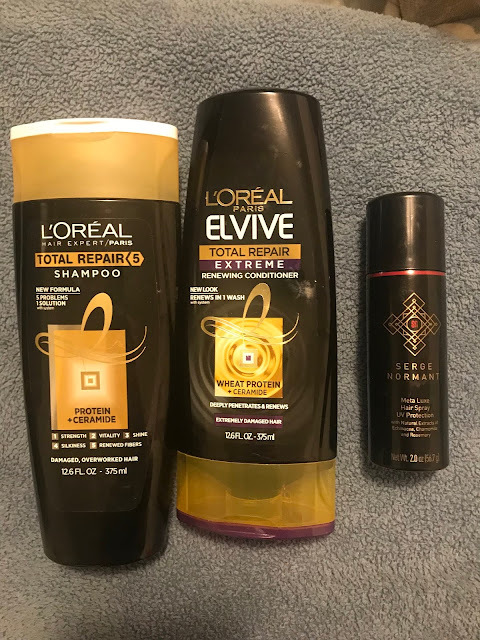 I finished the Loreal Total Repair Shampoo and Conditioner and I really liked it. This set has made my hair super soft and I think it helps keep the tangles to a minimum as well. I usually pick this up through couponing deals and I will continue to purchase it. I also finished a hairspray that I think I received from a Birchbox years ago by Serge Normant. I liked this hairspray which I only use to keep my flyaways to a minimum when I wear my hair up. I don't think I would necessarily purchase this in the future because all hair spray seems to work the same for me! I also have quite a few to get through before I need to worry about buying more. 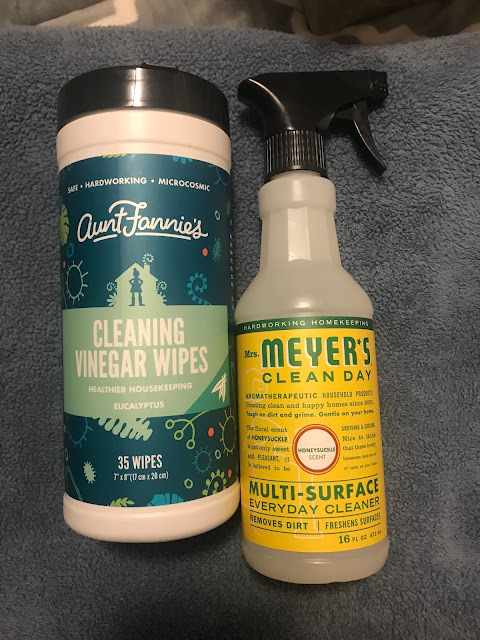 The Aunt Fannie's Vinegar Wipes were something I threw in my cart on Grove due to a YouTube recommendation and I HATED them! I hate the smell of vinegar and had heard the vinegar wasn't really strong in this but whoever said that was very, very wrong! All I could smell was vinegar and I will never purchase these again! The wipes themselves worked just fine and if you do like the smell of vinegar you might like them but if you don't like vinegar then don't bother! I also finished the Mrs. Meyers Honeysuckle Multisurface Spray which I really like. I have used this in the past and it is probably my second favorite smell from Mrs. Meyers. I would repurchase this in the future but would definitely pick the Basil scent as my first choice. If you like sweet smells this is a good choice for you. 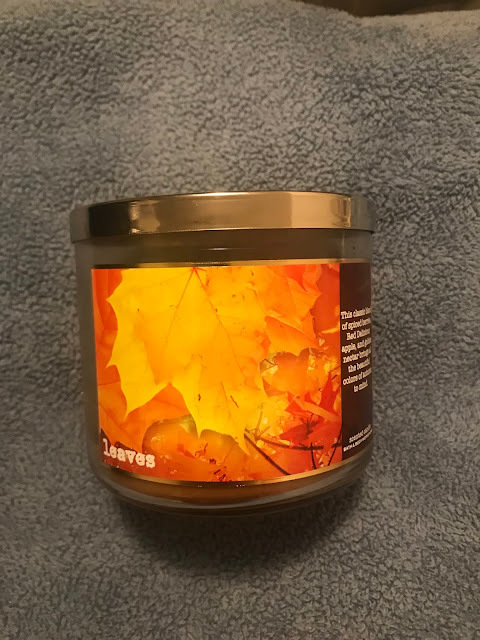 Only one candle empty for today, Bath and Body Works Leaves is my favorite candle and I stocked up during the last semi-annual sale! I was running pretty low on candles in June and I'm so glad I managed to stock up on some of my favorites! I will certainly be purchasing more of these in the future since I love them so much. Three hand soaps were finished up. Mrs. Meyers Lemon Verbena was an okay scent. I have had it for awhile so I knew I needed to use it up even though it's not a scent I love. I would definitely choose some of the other Mrs. Meyers scents over this one. Bath and Body Works Endless Weekend is a great summery scent and even though I used it in the fall I loved the beachy scent that it had. I would definitely repurchase it in the future. Softsoap Crisp Cucumber and Melon is a nice scent and is one of my favorite ones Softsoap makes. I would get this again if I happened to come across a couponing deal. I love anything watermelon scented so this one makes me happy for sure. I finished two packs of Tide Pods and they are my favorite type of laundry detergent. I really like Tide but the pods make doing laundry in an apartment so much more convenient. I will continue to coupon for these and can see myself using them for years to come. 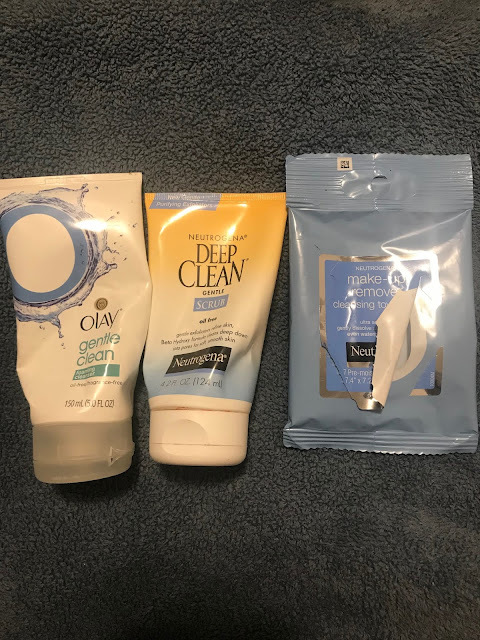 I loved Bath and Body Works Forever Beach Days body wash, the beachy scent was great and I think that Bath and Body Works shower gels are a great buy, I just need to get my collection down a little bit. This Sweet Tart Souffle has been hanging around forever and I'm so glad I finally finished it. Tim always commented on how he loved the smell but I thought it was just okay. I wouldn't repurchase this again but I'm not planning on purchasing any lotions for a long time since I have so many lotions to get through still! Some mascaras and eyeliners, apparently the only makeup I can actually finish completely! Rimmel London Wonderlash was a gorgeous blue container and I liked it but it definitely wasn't my favorite mascara. I would use it again if I got it free couponing but wouldn't seek it out. However I would repurchase this Clinique Mascara in a heartbeat! I really loved it and thought it was dry enough to work with and made my lashes look awesome. Diorshow Maximizer is one of my old favorites and my mascara always looks amazing when this is on underneath my regular mascara. I will definitely buy this again even though it is pricey. The Physicians Formula eyeliner was nice but the blue was not my favorite. I believe I got this couponing so if I got it again I would go for the black instead. Rimmel Exxaggerate Eyeliner was okay but there are definitely other eyeliners that I prefer to this one. Lastly, my beloved Cake Batter Chapstick! I used up five recently and will definitely be buying more in the future!